Access Cumberland Island from our Saint Mary's Georgia Location. Welcome to Spencer House Inn of St. Marys, Georgia, your home while visiting Cumberland Island National Seashore. Spencer House Inn Bed & Breakfast, circa 1872, is your ideal coastal retreat. The Inn is located in the heart of the Historic District of St. Marys, Georgia, and within walking distance to the ferry that takes you to Cumberland Island National Seashore. 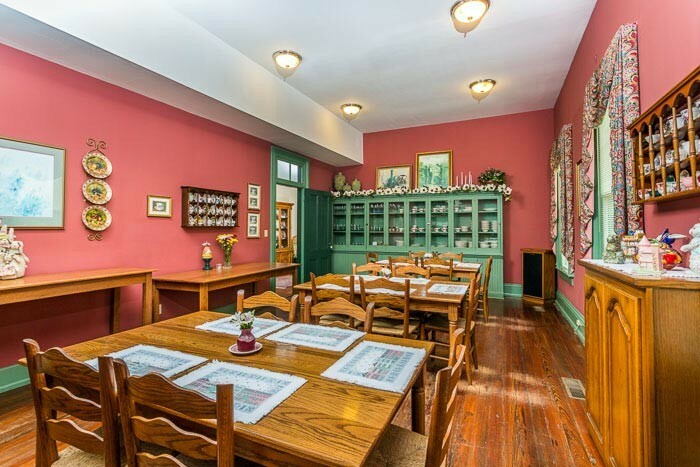 The Inn is perfect for quiet getaways, family reunions, business travel and seminars, weddings and receptions, honeymoons and your special occasion or event. Our warm hospitality, professional service and personalized attention to detail are unmatched. We are happy to help you with ideas of where to go and what to do in the area – assist you in planning your days of adventure in our gorgeous coastal location or leave you undisturbed as you relax in the calming environment of our beautiful Inn and village. Spencer House Inn has 14 guest rooms each individually decorated and complete with a private bath. Some of the baths have the charming clawfoot soaking tubs with showers, while others have traditional tubs and showers. Each guest room has its own personality so please view our Rooms page for details and photographs. Each morning we serve a full breakfast buffet in our bright, welcoming breakfast room and in the afternoons we set out our signature peach iced tea and irresistible sweet treats for your enjoyment. We are proud to have been recognized by many travel writers and bloggers as well as organizations, such as Select Registry, who inspect and approve properties to insure quality, hospitality and value. Spencer House Inn is proud to announce that we have been selected by TripAdvisor as the #1 Bed & Breakfast in St. Marys for 2018 and have been awarded TripAdvisor’s Certificate of Excellence for 2018. We are also pleased to have been selected by our local community as “Best of the Best” in the Bed & Breakfast category – thank you neighbors! Be our guest and let us help you experience the charming lifestyle of our breathtaking Georgia coastline. We look forward to welcoming you to our Inn. Your adventures in St. Marys and on Cumberland Island begin here! "I was warmly greeted by Mary, one of the innkeepers. She made sure that I was well taken care of throughout my stay and during my visit to Cumberland Island. I can't think of anything they could have done to make me feel more at home."